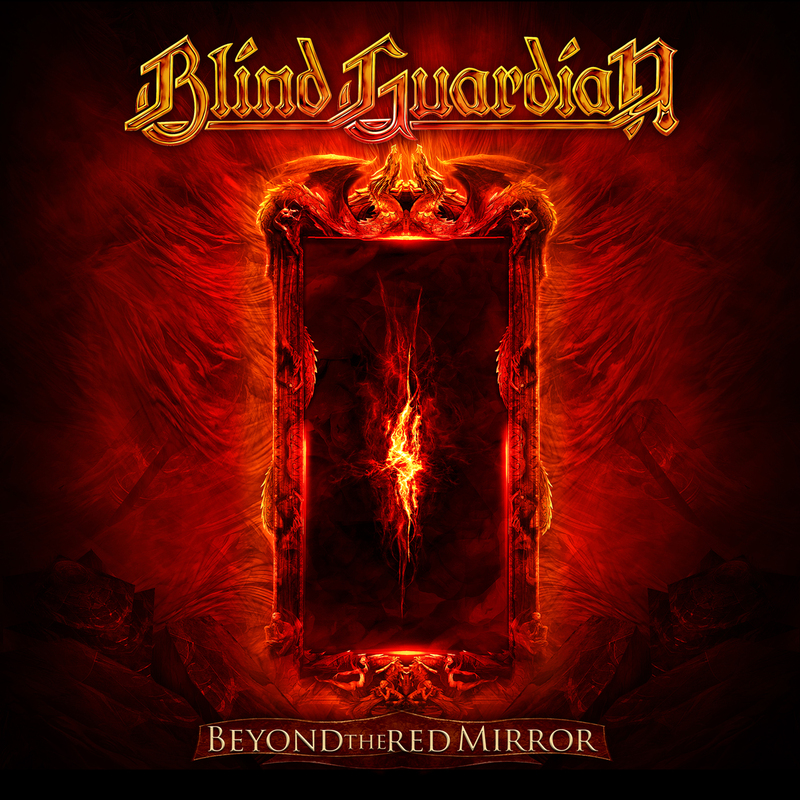 Beyond The Red Mirror will be the title of the highly-anticipated tenth studio album by Germany's favorite sons and metal's most epic storytellers Blind Guardian. Prepare to have your senses overwhelmed. Four-and-a-half years in the making, the follow-up to 2010's At The Edge Of Time (which debuted at #2 on the German album charts and at #1 on the American Billboard Heatseekers chart and #108 on the American Billboard Top 200 Albums chart) is scheduled for release in Europe on January 30, 2015 and February 3, 2015 in North America. 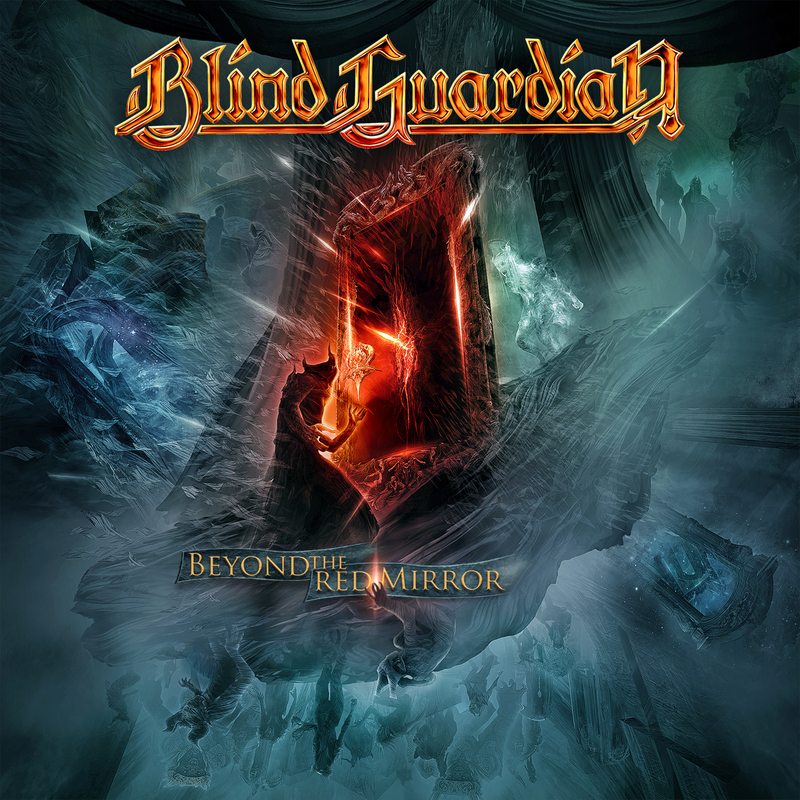 Recorded at Twilight Hall Studio in Grefrath, Germany and produced by Charlie Bauerfeind (Saxon, Hammerfall, Helloween), Beyond The Red Mirror showcases Blind Guardian's long-awaited collaborative work with three different classical choirs: one from the Czech Republic (Prague), one from Hungary (Budapest), and one from the United States (Boston). Two grand orchestras - each featuring 90 musicians - also lend their brilliant talents to the new recordings with absolutely spellbinding results. Transporting listeners via a mysteriously powerful red mirror into an otherworldly dimension that includes tyrants, gods, and the Holy Grail, the ten songs comprising Beyond The Red Mirror's story lines revolve around the young protagonist we first met twenty years ago in the 1995 tracks Bright Eyes and And The Story Ends. "A story between science fiction and fantasy," explains Blind Guardian vocalist and lyricist Hansi Kürsch. "The story begins with our 1995 album, Imaginations From The Other Side. The two worlds described therein have changed dramatically for the worse since then. While there used to be several passages between the worlds, there is only one gate left now: The Red Mirror. It has to be found at any cost." 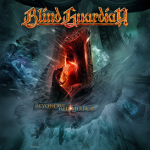 Asked to describe the band's guiding principles for the creation of this new release, Blind Guardian guitarist André Olbrich shares: "We want to surprise and impress with our music. Nowadays, music tends to be arbitrary and predictable. But we want to keep developing our music." Opening with a tidal wave of surging emotion courtesy of a spine-tingling choir Beyond The Red Mirror unleashes its first gem, The Ninth Wave, a consciousness-expanding palette of landscapes and moods bearing the message of an urgent mission still seeking resolution. Closing with an explosion of heroic harmonies and choral glories with a nine-and-a-half minute, self-contained saga Grand Parade (called "the best song we have ever written" by Olbrich), the grandiose, uplifting, and ingenious storytelling in Beyond The Red Mirror is guaranteed to leave you breathless. Check out the first (of many) studio trailers leading up to the release of Beyond The Red Mirror! Trailer 1 enlightens you, the fans, as to why Twilight Of The Gods was chosen to be the first single of Beyond The Red Mirror. Enjoy! For the release of Twilight Of The Gods, the group released the official lyric video of the single! Coming soon: the transcription of these lyrics on our website. 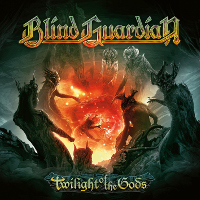 As promised, Twilight Of The Gods lyrics are available on our website! Just here: click me. 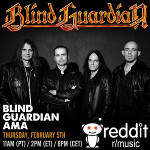 And I invite all of you to "like" our new Facebook page which is now this address: http://www.facebook.com/blindguardianfr. You will find complete information regarding updates of the site and the group's news! The whole team of en.Blind-Guardian.fr wish you a happy new year! 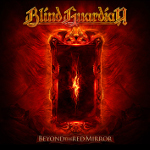 Regarding Blind Guardian, the year will be very good and it's with the fourth trailer for Beyond The Red Mirror that we're starting and the least we can say is that it's probably the one with the most of unreleased audio material! 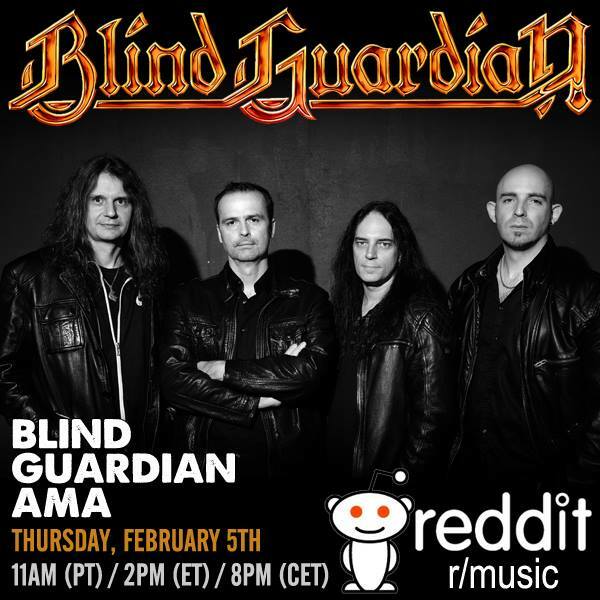 Hansi Kürsch and André Olbrich will be answering your questions at Reddit Music on Thursday, February 5th! The AMA will be on Thursday, February 5th 8PM CET. An account on Reddit is required for asking questions, the Q/A will be in English. Saturn Düsseldorf - January 30 at 6PM CET, address: Königsallee 56, 40212 Düsseldorf. Saturn Hamburg - February 4 at 6PM CET, address: Mönckebergstraße 1, 20095 Hamburg. Beyond The Red Mirror is out NOW in Europe! 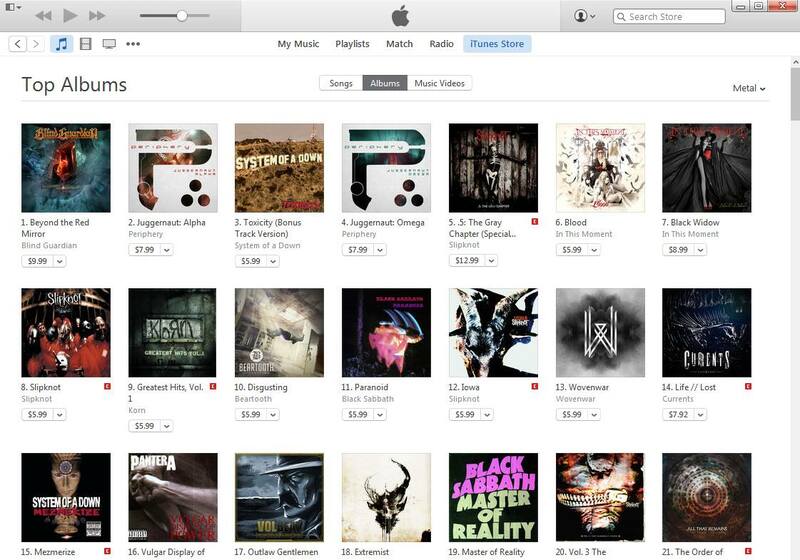 Hopefully you have your copy already. Here is trailer #7 with André and Hansi guiding you through the album. Enjoy! For those who want to meet and greet the band in person, there will be three dates to check: Vocalist Hansi Kürsch and guitarist Marcus Siepen will be around for the signing session at the Saturn stores in Düsseldorf and Cologne and guitarist André Olbrich will join in Hansi and Marcus for the third session at Saturn Hamburg. 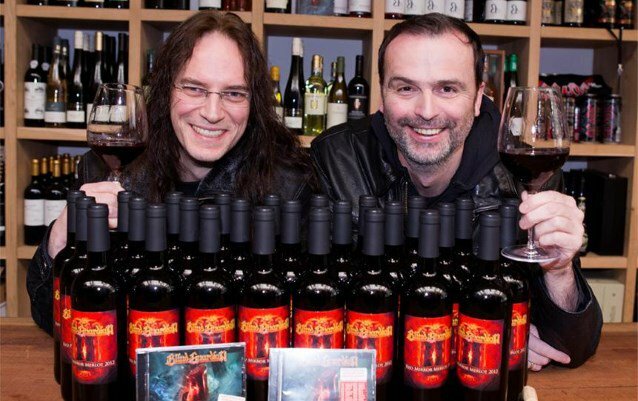 Remember, in 2012, Blind Guardian has released their own wine: the Blind Guardian Syrah. Today, the group changed its grape variety and the Merlot is used for the Red Mirror Merlot 2012. Well known to fans of great wines, especially the Saint-Emilion, Merlot is a grape variety recognized as such since the 18th century. Huge fan of red wine, Hansi says "we are all passionate red-wine drinkers, and the Red Mirror Merlot has a fantastic taste". You need to live in Germany to order a bottle of 70cl for 16€ on the Nuclear Blast website. The Red Mirror Merlot is scheduled for February the 6th.